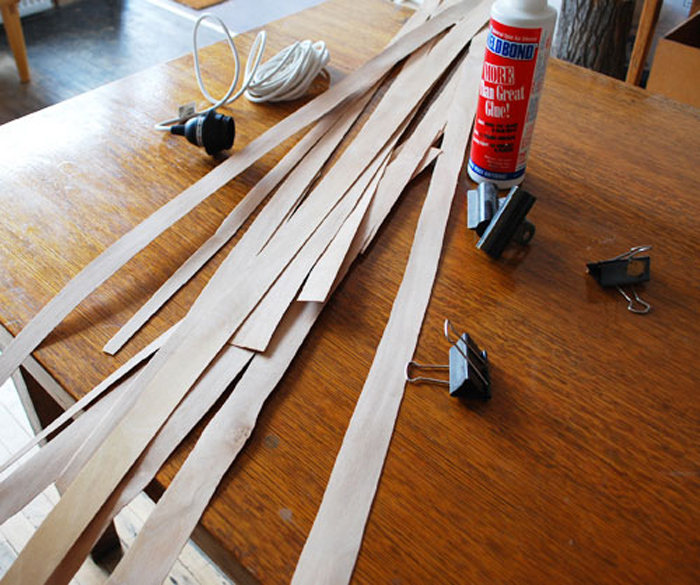 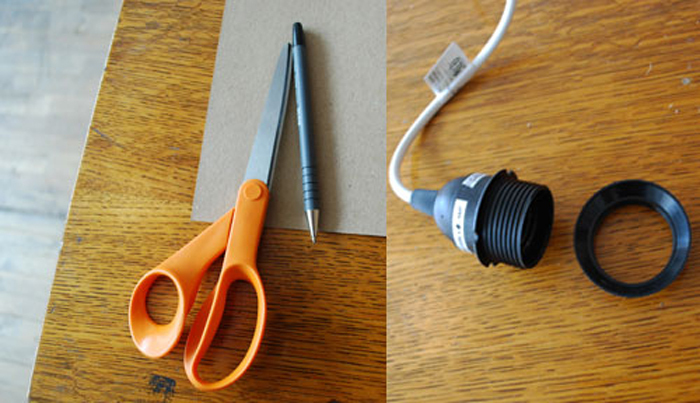 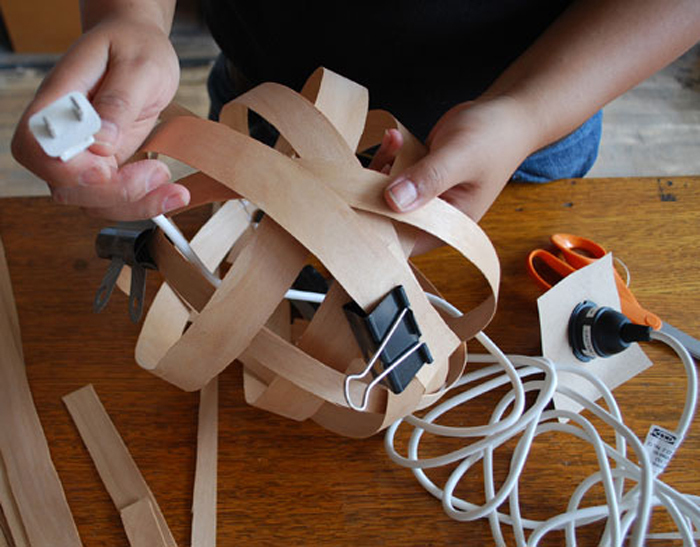 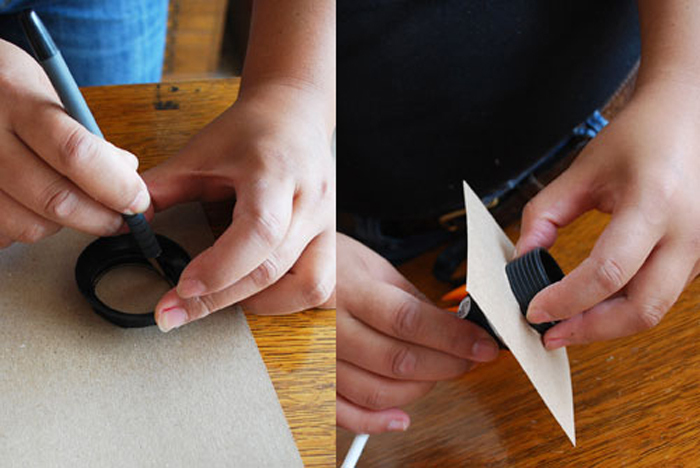 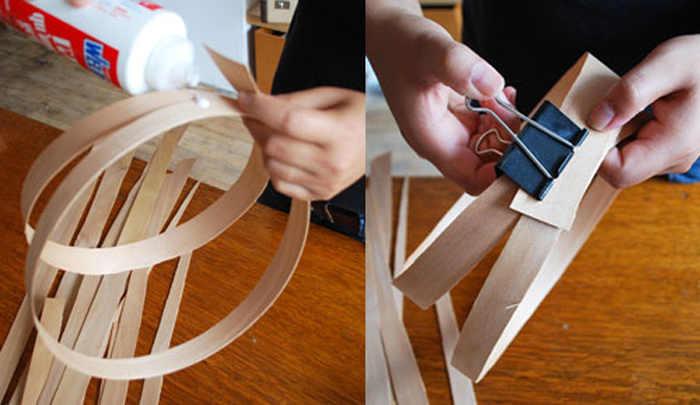 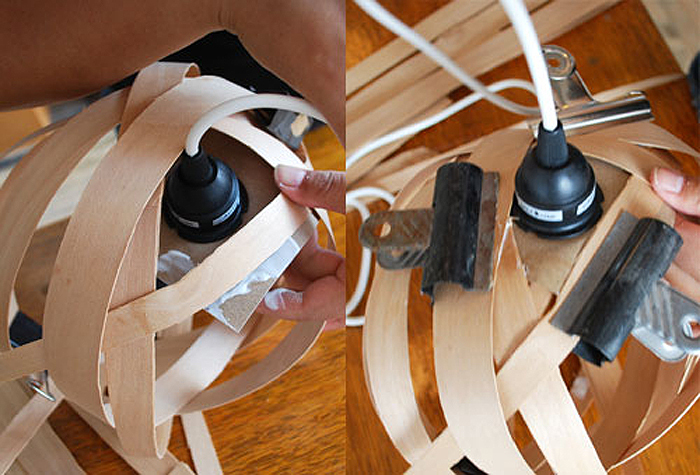 We were reminded yesterday of this awesome DIY Pendant Light Arounna Khounnoraj of Bookhou did for us back in 2010 and thought it was time to repost it for our Best of DIY series. 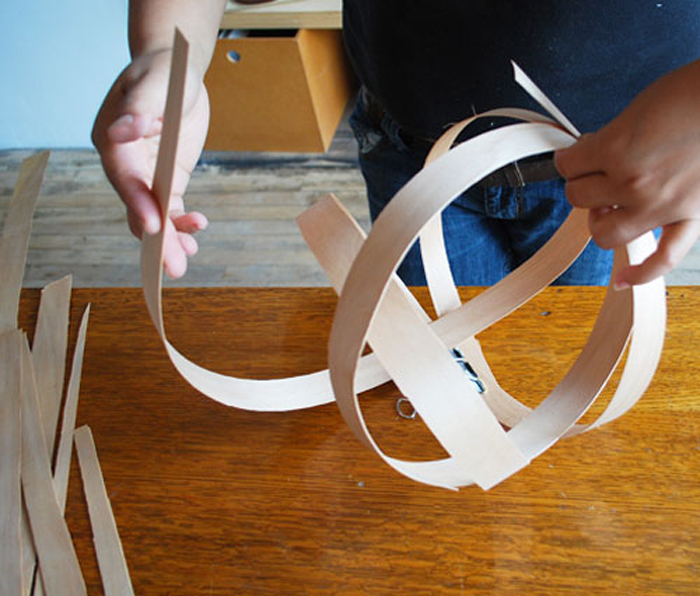 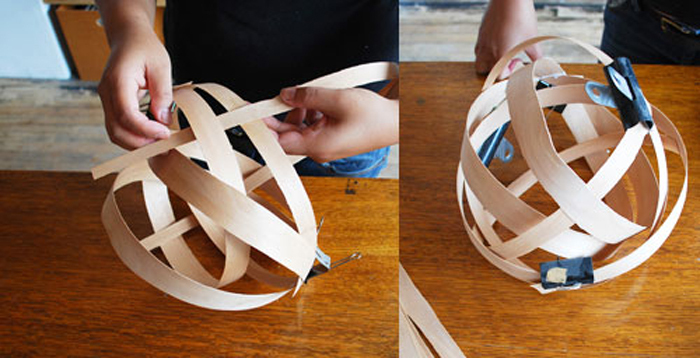 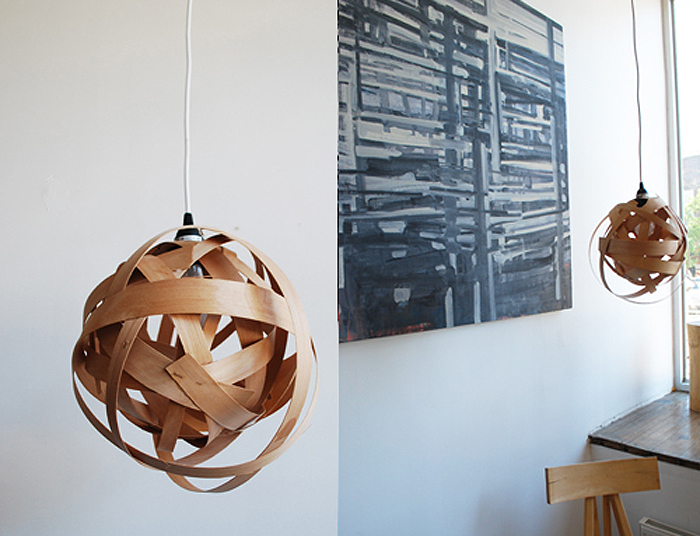 Made with strips of wood veneer, Arounna showed us how to make a cool pendant perfect to place above a dining room table, or even bedside. 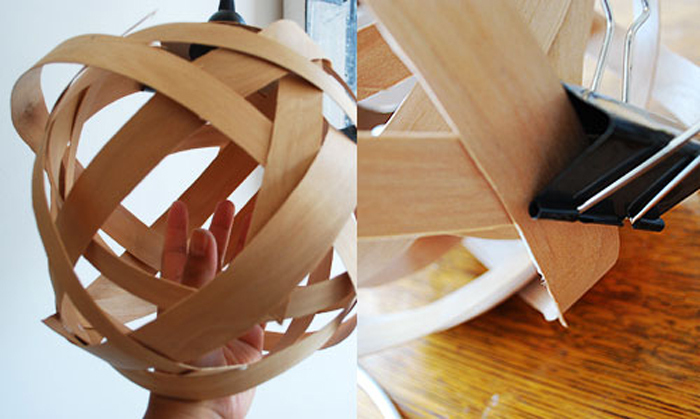 —J+E Check it out below.